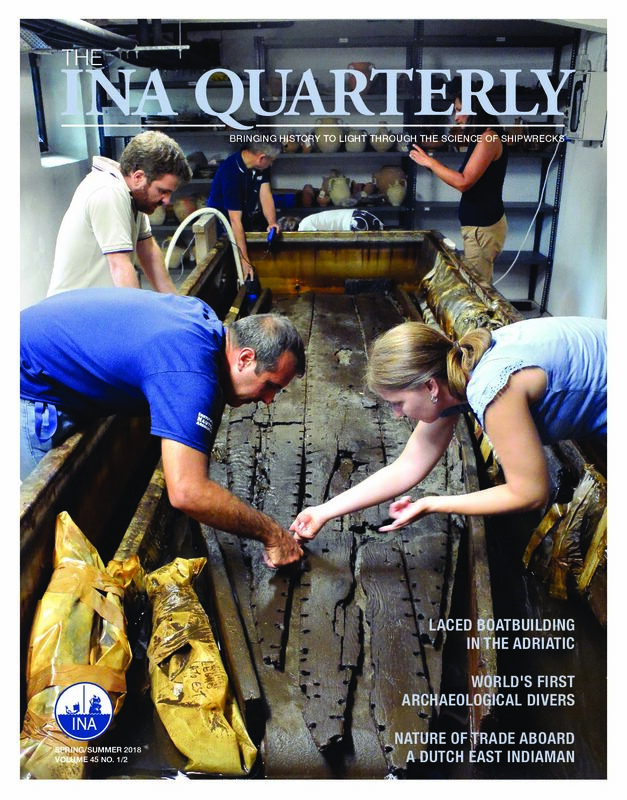 The INA Quarterly has been published since Spring 1974 by the Institute of Nautical Archaeology and continues to be published four times a year. It is a news and information magazine focused on the Institute and its many projects, as well as the issues and events relevant to the nautical archaeology community and of interest to the general public. Check out the INA Quarterly Archive to read back issues of this publication. The full issue will be posted online one year after publication. To enjoy your print copy now, join INA and receive the INA Quarterly as a benefit of membership! Regular features such as book reviews, research associate profiles, tributes to colleagues, and INA News & Events.